I once read that your preference for different kinds of landscape stems from a deep seated evolutionary instinct related to the race you’ve descended from. Whether or not there is any truth in this I don’t know, but something in me finds forest both deeply peaceful and slightly unsettling at the same time. Many religions believe that there are spirits in trees and forests which need to be appeased and it’s easy to appreciate why. Especially in deep, natural forest there’s a definite sense of power and mystery which is hard to comprehend. In the unspoilt pine forests around the remote Phobjikha valley, rather more tangible dangers lurk. The surrounding mountains, covered in blue pine, hemlock and rhododendron are home to Himalayan black bears, wild boars, leopards and even the odd tiger, although these are rarely seen. Thankfully we experienced nothing much more threatening than a male yak. Anyone who watched the Michael Palin series ‘Himalaya’ may recall his visit to Phobjikha to see its most famous resident, the rare black crane, which overwinters here when Tibet gets too cold. Alas they are back up north now, leaving the valley floor to grazing yaks, cattle and sturdy looking horses. After visiting 15th Century Gangtey Goemba (above), we set off through the quiet village and onto the Gangtey nature trail, which is about 4km long. 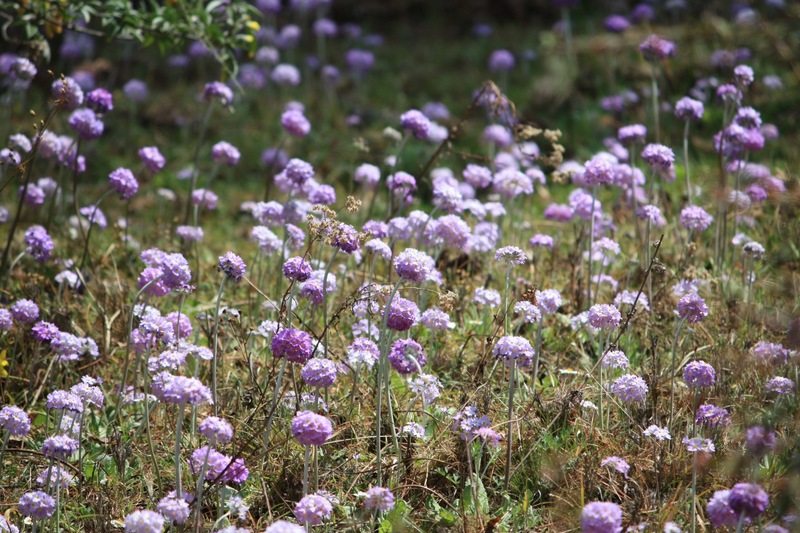 The path drops down through tall pine trees and closely grazed grass, studded with purple primulas, identified as Primula atrodentata, but looking much like Primula denticulata. A butterfly very obligingly settled on one of the short stems in time for me to take its picture. 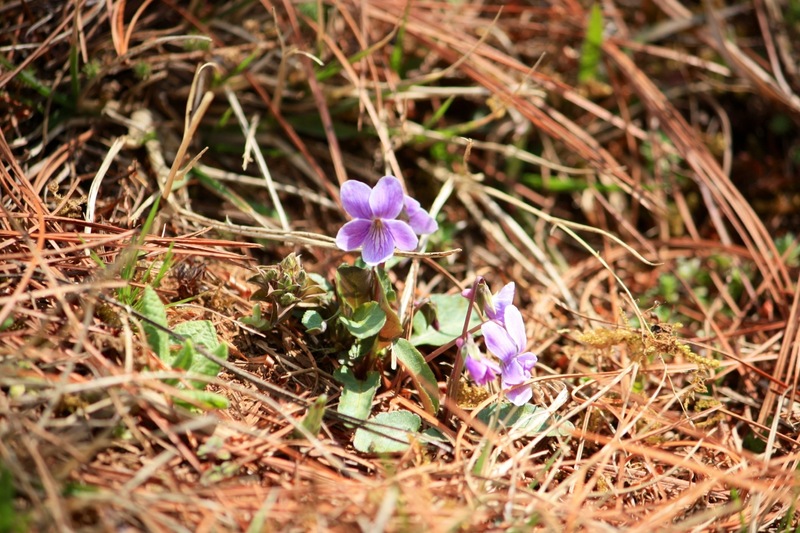 Then, almost invisible and sheltering under overhanging rocks, were these minute violets, which I believe to be Viola betonicifolia. 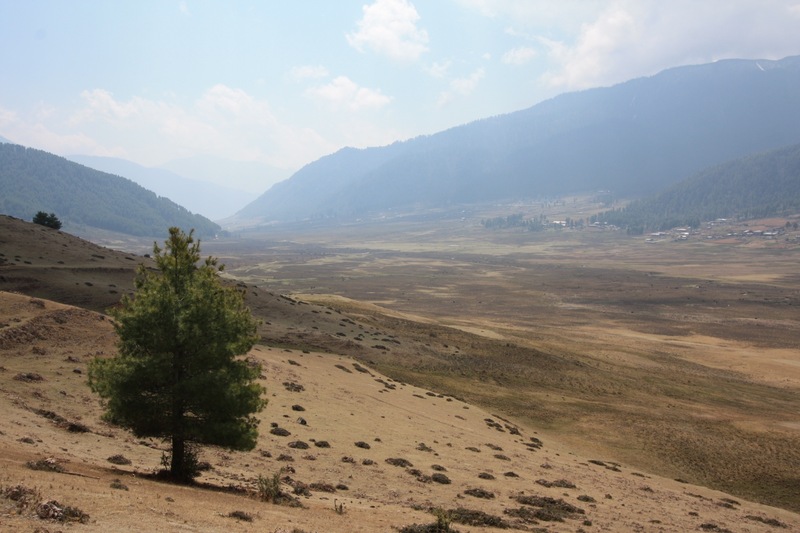 The Phobjikha valley itself is a classic textbook glacial valley – U shaped and with various interesting hillocks (you can tell I did my A levels a long time ago!) and a vast, open marshy plain. The climate is too cold for rice growing so the main crop here is potatoes, which were already in the ground. Before long we walked past a group of local women building a new house from the clay subsoil. 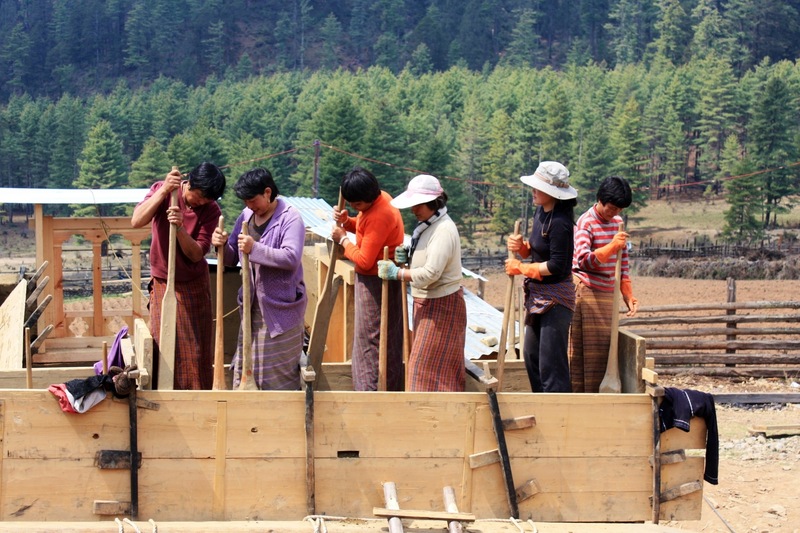 This is how traditional houses are built in Bhutan, taking anything up to 2 years to complete. Many people, having tried using concrete, have reverted back to good old pounded mud and pine construction. 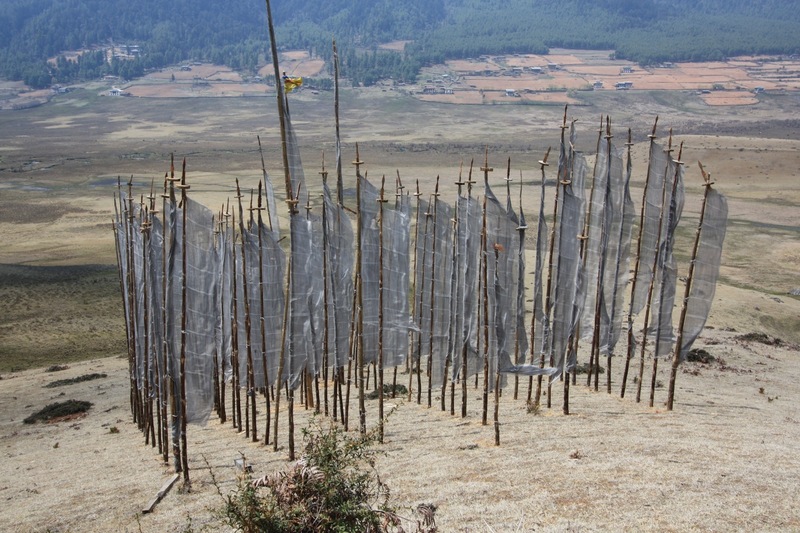 This is Bhutan all over – prepared to give new methods a try, but equally ready to revert to old traditions if they don’t deliver. (Traffic lights got short shrift here and the elegant hand gestures of the traffic policemen are much easier on the eye.) The women sing a special song to make the time pass quickly and took great pleasure in turning up the volume for our benefit. The track then runs into forest, which is where the fun starts. First off, the trees here are festooned and encrusted with all manner of amazing lichens. This is only possible because the air is crystal clear, the bushier lichens being incredibly sensitive to any sort of air pollution. 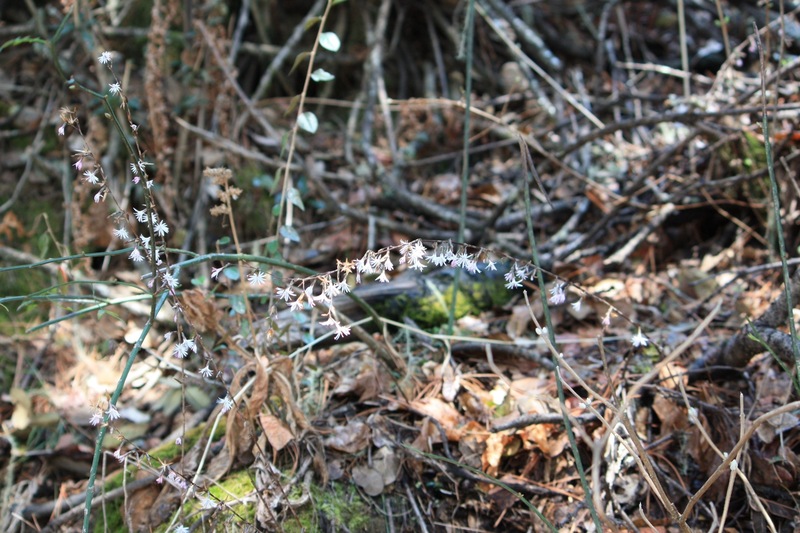 Looking rather like decorations from Miss Havisham’s Christmas tree, Usnia longiflora, or ‘Old Man’s Beard’, cascades from the oldest trees, streaming in the wind. This strange lichen is not a parasite, it simply uses the tree as its means of support, reaching lengths of over a metre. 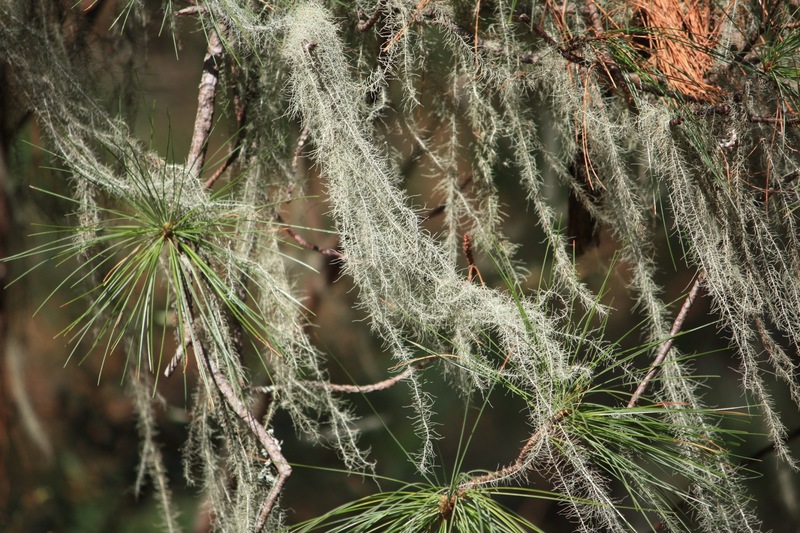 Old Man’s Beard is used in the most remote villages for scouring pans and stuffing pillows and mattresses. We’ve learnt quickly that everything in Bhutan has a use. Once again I was lagging behind, but through the trees I spied a remarkable sight – a long narrow clearing in the trees completely carpeted with primulas. This was to become a common occurrence as we continued our journey, but never failed to delight. 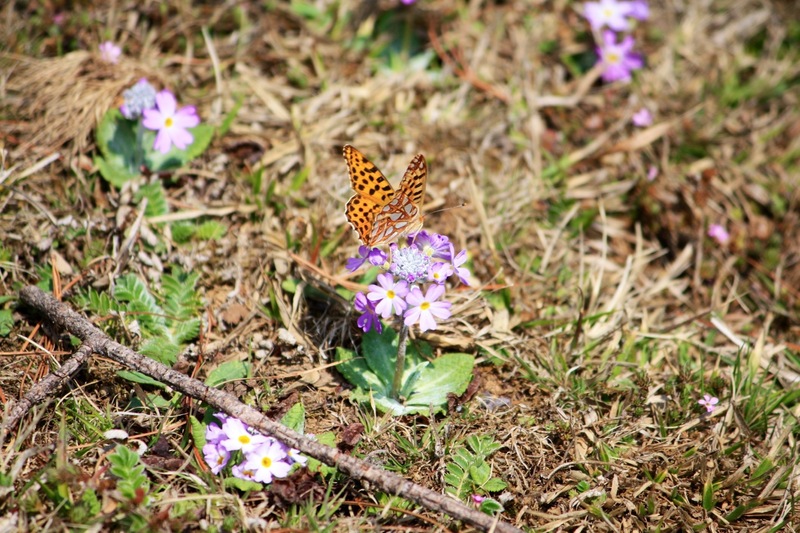 More butterflies flitted amongst the purple flowers, and I spotted one or two which were pure white. Again, the trail information boards name these as Primula atrodentata, but whatever they are they created a very pretty scene. At the edges of the same clearing and occupying a similar position throughout the valley was more yellow-flowered Piptanthus nepalensis. Piptanthus has an open habit, rather like a buddleja, and clearly enjoys sunshine and a sloping site. Just as I thought that would be about my lot in terms of plant spotting, I literally trod on my biggest surprise find, the tiny, star-like Ainsliaea aptera or wingless ainsliaea. 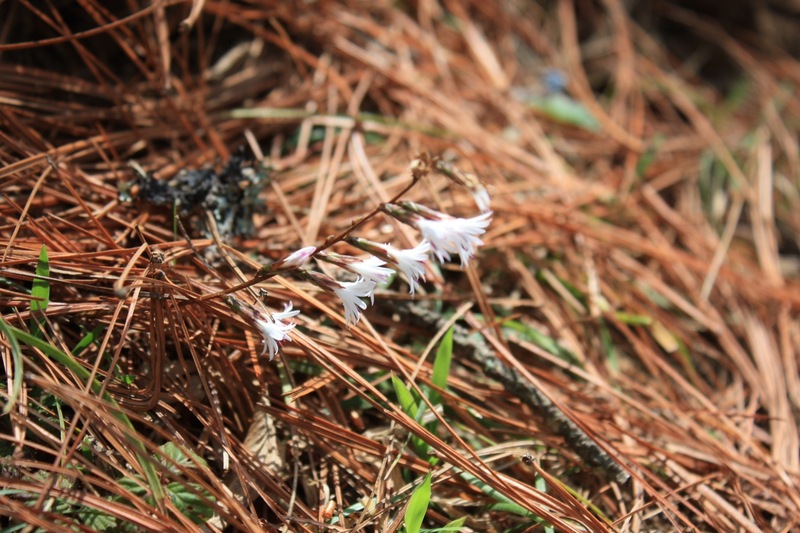 A perennial herb, its dry-looking sprigs of frilly white flowers make their appearance in early spring. 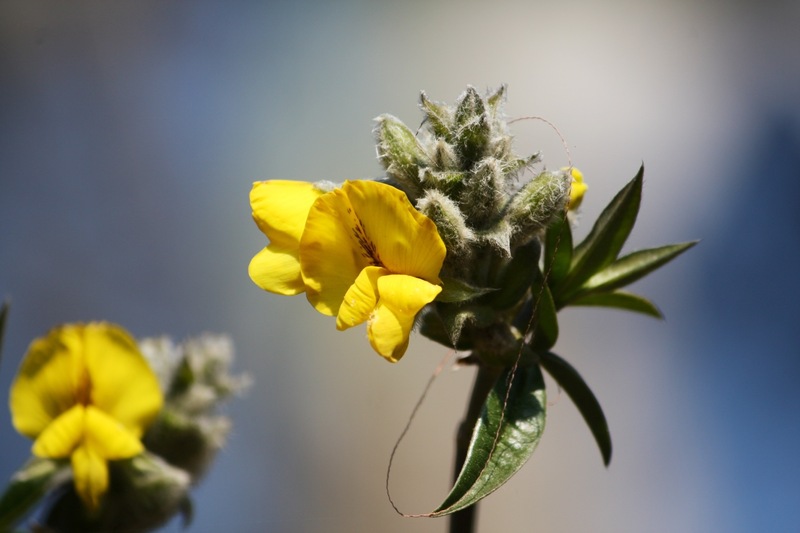 The flowers are followed by triangular or rounded heart-shaped leaves. The genus name Ainsliaea was named for Sir Whitelaw Ainslie, a 19th century doctor and author employed in India. Returning to the village of Tabiting, the wind had stiffened, ruffling the boughs of pollarded willows. 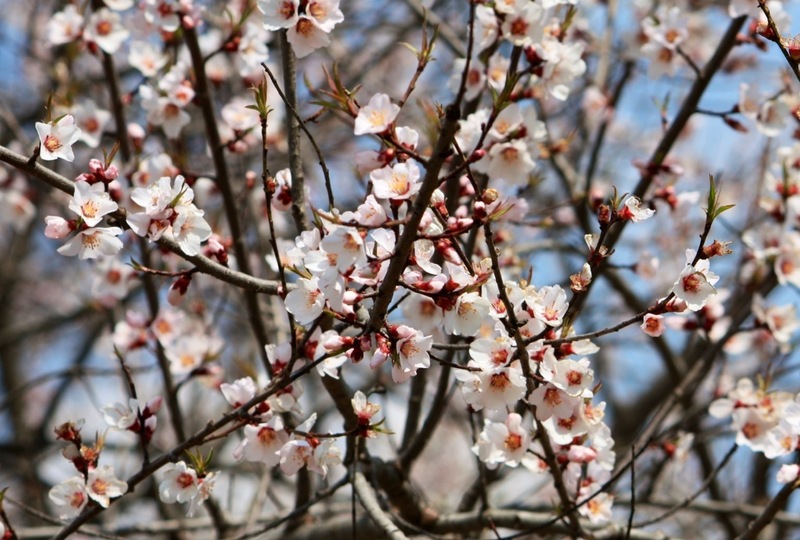 Most farms have one or two fruit trees – usually plums or apricots – the blossoms of which showed up dazzling and white against the blue sky. It was time to return to our hotel to toast our aching feet in front of the log burner. In my next post, Bumthang in Bloom. Seems like Primula-Land out there! Ainsliaea is such a delicate plant!